Northern Trust Company Ltd has announced another letting at their Innovate offices, within Building 5 at Earls Court, Grangemouth. Suite 5C which extends to 393 sq ft has been let to Penumbra on a 3 year deal, and leaves only one Innovate suite vacant. Earls Court offers a range of office space with suites from as little as 2 persons (373 sq ft) upwards available to larger accommodation of 5,091 sq ft. Earls Court forms part of the well-established Earls Gate Business Park which benefits from excellent transport links. The scheme is well located offering direct access to Falkirk and Junctions 5/6 of the M9 which are within a short distance. 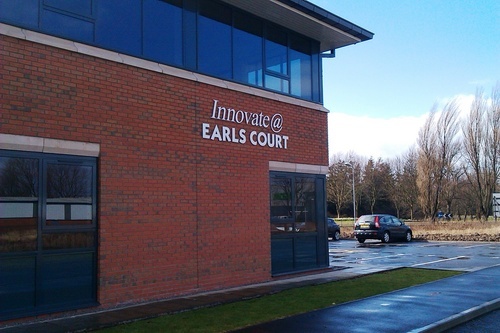 For more details about the Innovate offices and Earls Court please visit the dedicated website at www.earlscourt-grangemouth.co.uk or contact one of the joint letting agents directly - Mike McIntyre at DM Hall on 01324 628321 or Peter I’Anson at Ryden on 0131 225 6612.